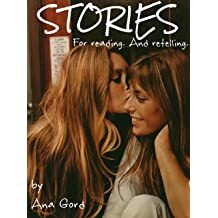 Ana Gord is a Serbian writer born in Belgrade in 1981. 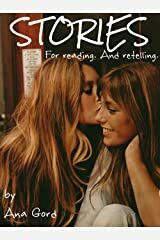 She published 5 books altogether: "Stories" and "Backwash" at Amazon, 3 free books on her blog and is currently working on her next novel. Ana mastered at the department of General Literature and Theory of Literature at the Faculty of Philology in Belgrade, Serbia. She also completed Creative writing course at University of Belgrade (as best in the class) with the guidance of Serbian writer Mihajlo Pantic and English Composition course (with distinction) at Duke University, North Carolina. Furthermore, Ana Gord enjoys blogging so she shares her creative work and gives tips for writing at her personal blog anagord.com. The post Slom appeared first on Ana Gord. The post Blog & Influence Radionica – Novi Sad, 3. Maj appeared first on Ana Gord. The post Revidiranje – Pročitajte Vaš Tekst Ponovo. I Ponovo. I Ponovo… appeared first on Ana Gord. The post Na Javi appeared first on Ana Gord. The post Kako Napraviti Kostur Za Knjigu – I Zašto Je Ovo Bitnije Od Samog Pisanja appeared first on Ana Gord. The post Prolećni Kurs Kreativnog Pisanja A+, Mart 2019 appeared first on Ana Gord. The post Kuda Plovi Ovaj Blog appeared first on Ana Gord. The post Kako Napisati Priču, Kako Pesmu a Kako Knjigu – O Da, Ima Razlike appeared first on Ana Gord. Da Li Bi Tolstoj Imao Instagram? The post Da Li Bi Tolstoj Imao Instagram? appeared first on Ana Gord. The post Dani Puni Žutog Sunca, Muzike I Smeha appeared first on Ana Gord. The post Iluzija Večnosti: Madrid III appeared first on Ana Gord. The post Život U Slikama: Valensija & Benidorm II appeared first on Ana Gord. The post Korak Slobode: Valensija & Barselona I appeared first on Ana Gord. Da Li Je Dužina Bitna? The post Da Li Je Dužina Bitna? appeared first on Ana Gord. The post Limbo – Falica i Gord appeared first on Ana Gord. The post Unutar appeared first on Ana Gord. The post Izrada Omota Za Knjigu appeared first on Ana Gord. The post Život appeared first on Ana Gord. The post Facebook Algoritam – Šta Treba Da Znate Da Biste Bili Vidljiviji appeared first on Ana Gord. Kako Postati (Bolji) Pisac Za Samo 10 Dana? The post Kako Postati (Bolji) Pisac Za Samo 10 Dana? appeared first on Ana Gord. The post Sanjam – Ana Gord appeared first on Ana Gord. Why Do I Want To Attend SparkMe (Again)? The post Why Do I Want To Attend SparkMe (Again)? appeared first on Ana Gord. The post Kako Postati Kraljica Instagrama – 7 Trikova Za Koje Sigurno Niste Čuli appeared first on Ana Gord. The post Quick Escape To Nature – The Best 3 Spas In Serbia appeared first on Ana Gord. The post Šta Je Zapravo Facebook Stranica? – Jelena Rašić appeared first on Ana Gord. The post Olé, Olé! appeared first on Ana Gord. The post Njihova Slika appeared first on Ana Gord. The post 48 Hours In Belgrade appeared first on Ana Gord. The post Udah appeared first on Ana Gord. The post Belgrade During Wintertime appeared first on Ana Gord. The post Dorćolska Mantra appeared first on Ana Gord. The post Guest Post: Poziv Iz Poljske appeared first on Ana Gord. The post Digitalni Gutenberg 8 – Elektronsko Izdavaštvo U Srbiji appeared first on Ana Gord. The post Kako Objaviti Knjigu Bez Izdavača appeared first on Ana Gord. The post Click & Learn: Osnove Blogovanja appeared first on Ana Gord. The post Nova stranica appeared first on Ana Gord. The post U Meni – Ana Gord appeared first on Ana Gord.